Red beans and rice are country. A good country meal almost always includes something that comes from the ground. Beans and rice were always part of the country meals I looked forward to and it seems country singer Bryan Cole lives life the same way. Red Beans & Rice is a great country song from Bryan Cole. It’s got the feel of the great ’90s country music. There is the new traditional sound mixed in with great authentic country vocals. I love the uptempo beat of the song. It’s definitely a song I could see people line dancing to on a Saturday night all across the US. Even if it’s not line dancing I can picture country fans young and old dancing around the campfire to this song. And what campfire would be complete without a few bowls of beans? This song reminds me of a few things Sammy Kershaw released back in his early days. There is also a bit of Eddy Raven in there perhaps? I’m not exactly sure. 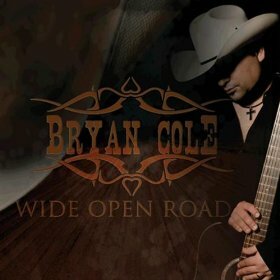 All I know is there really isn’t anyone like Bryan Cole on country radio right now and it’s too bad. Bryan seems like he’d be a good fit for the ears of the general country audience. Red Beans & Rice is about a guy and gal having a good time down south in Louisiana on the bayous. The two people fit together like cold beer on ice and of course the red beans and rice. It’s the simple love songs like RRed Beans & Rice that add a little charm to country music. I love songs that are simple in topic and unique in sound and this fits the bill to perfection.